ABS articulated feet with steel thread, for SBxx load cells. Extremely reduced height, particularly suitable for creating 4-cell platforms. Applicable on SBxx series’ shear beam load cells. Compact and simple to install, thanks to the reduced height. Completely ABS construction, with steel thread. 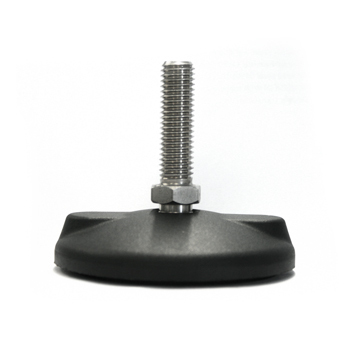 Non-slip rubber built into the base of the foot. To combine with BLKM12I bush. SBFP ABS articulated foot, with steel M12 thread. To combine with BLKM12I bush.